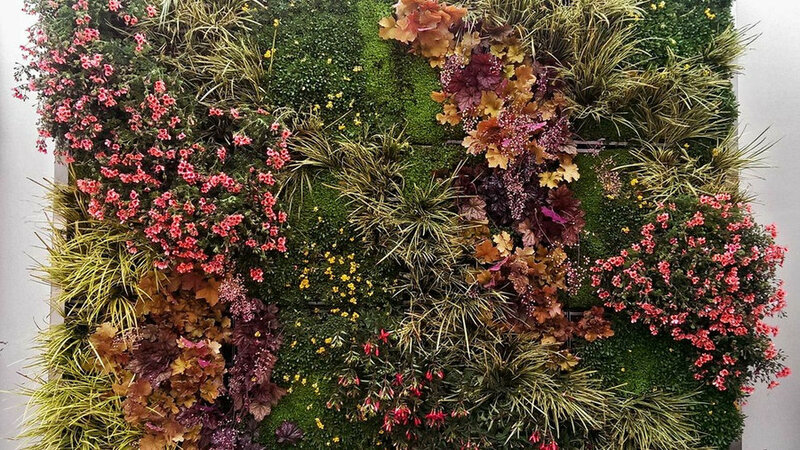 This vertical garden is planted with plants that do well in partial shade. This vertical space is opposite a swimming pool. The plants here are appropriate for partial shade. 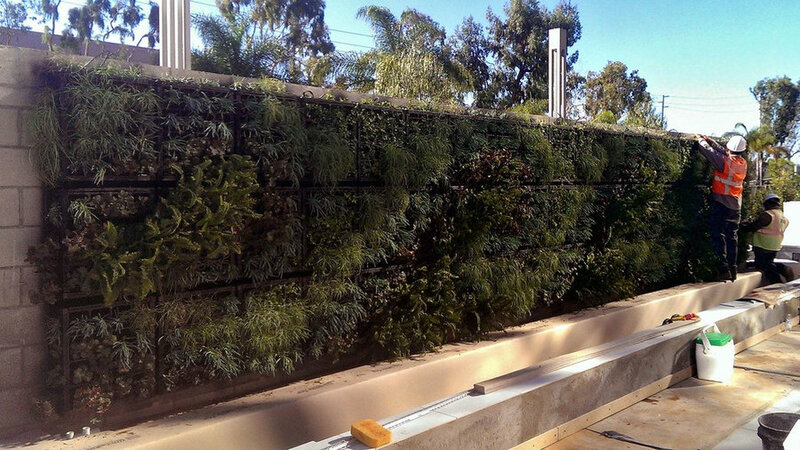 Here is a view of the installation phase of a vertical wall. 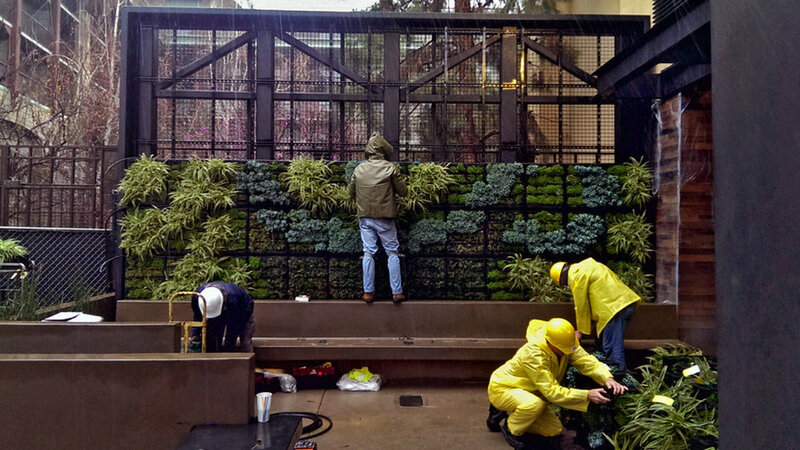 This greenwall installation is built upon a sturdy steel structure. This is our heroic crew working in the rain to meet our deadline. 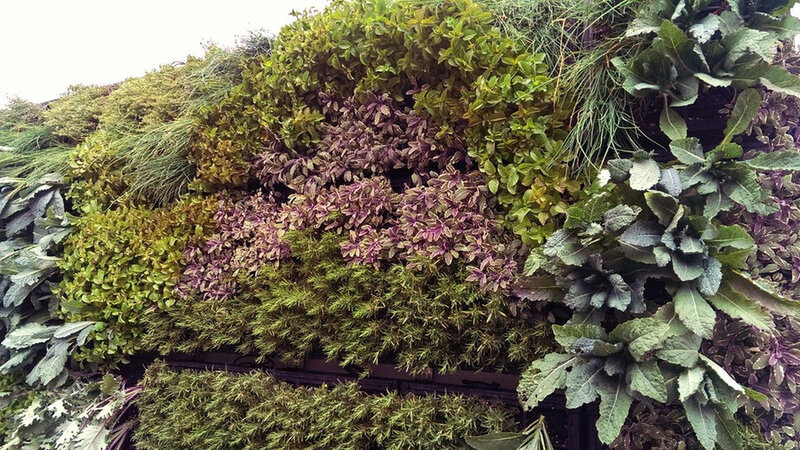 This creative vertical garden is made of recycled pallets. This wall softens a sitting area for a coffee shop. These plants are herbs, succulents, and grasses that can take more sun exposure. 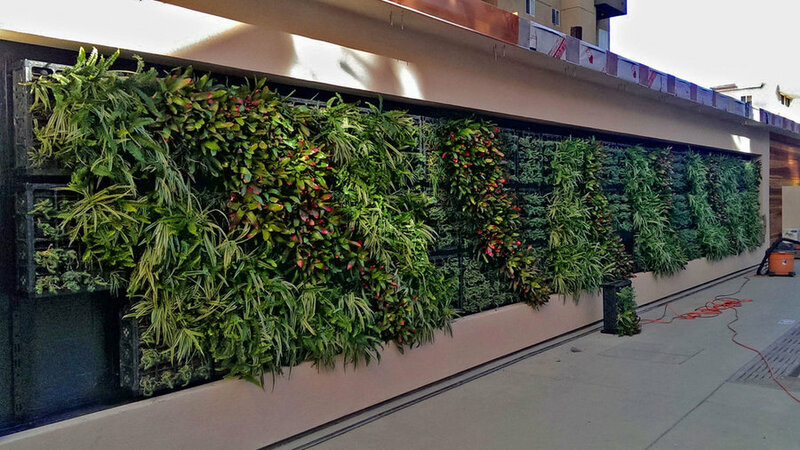 This greenwall installation is part of a business building outdoor gathering area. For the partial shade exposure ferns and mondo grass, as well as other appropriate plants were chosen. 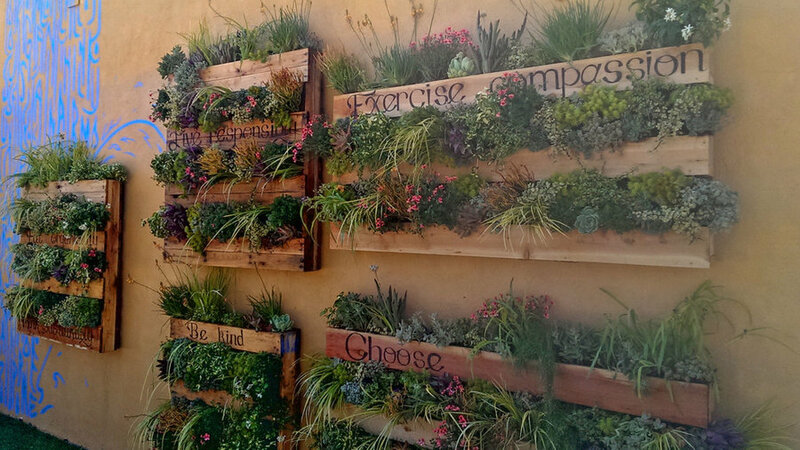 Here is an example of a lush herb garden installed in an area with limited space. Rosemary, sage, and kale are some of the plants used for this gourmet culinary space.